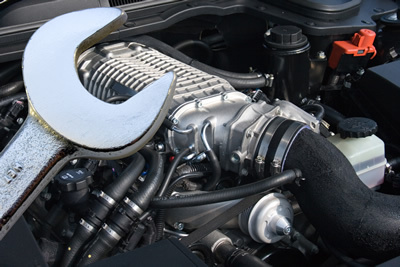 When it comes to Mercedes Benz repair, there is no room for chance taking. Taking care of your Mercedes should always be on your mind and when it comes time to mend real damage, you can only trust the best. In a city lined by streets frequently donning Benz’s, it can be difficult to determine who is best suited to rejuvenate your Mercedes’ perfection. Tech Plus is a smooth operation offering incomparable Mercedes repair in Scottsdale, AZ. Hand your keys to mechanics who will treat your car like the body of art that it is. Don’t believe us? Let us tell you about our superiority. Seriously, try us. Come in, give us a call, tell us about your day, leave your wheels in our hands, interrogate our staff. You can’t stump us, and we’ll never give you less than a beautiful car, perfect service and a smile when you walk out the door. Love your Benz but don’t know much about the auto industry? We got you. Our mechanics can speak auto and human so you can always understand what’s happening under the hood, how it’s getting fixed and how to keep things rolling thereafter. When your child is sick, you bring them to the doctor. Why not the same for your car? Tech Plus runs comprehensive diagnostics on your Mercedes before initiating any repair. We don’t resort to simple solutions. We’ve been in this business longer than you’ve been behind the wheel and we’ve pretty much seen it all. Trust Tech Plus to reach a resourceful solution, and quickly! Do techies really need to be limited to Silicon Valley computer sciences guys and gals? Never. Tech Plus mechanics handle repairs using the latest technology and constantly work to understand how technology can better serve the repair process. We’re techies, too, okay? Tech Plus’ leadership threads best practices into each day. Leaders push their teams to constantly learn, improve and produce their best work on every project. Tech Plus maintains certification for its mechanics, which is not required in the industry. We constantly re-certify to ensure you’ve got the most educated team working on your Benz. So, have we convinced you to trust us with your Mercedes? Come on in and let us win you over, for good!